See how PsyKey Doctoral can help you track your clinical hours. See all you've accomplished and what's next when using the convenient calendar overview. Save and track info on every task and event you've completed during your clinical training. Create and track all the clients you've seen, along with their vital demographic information. 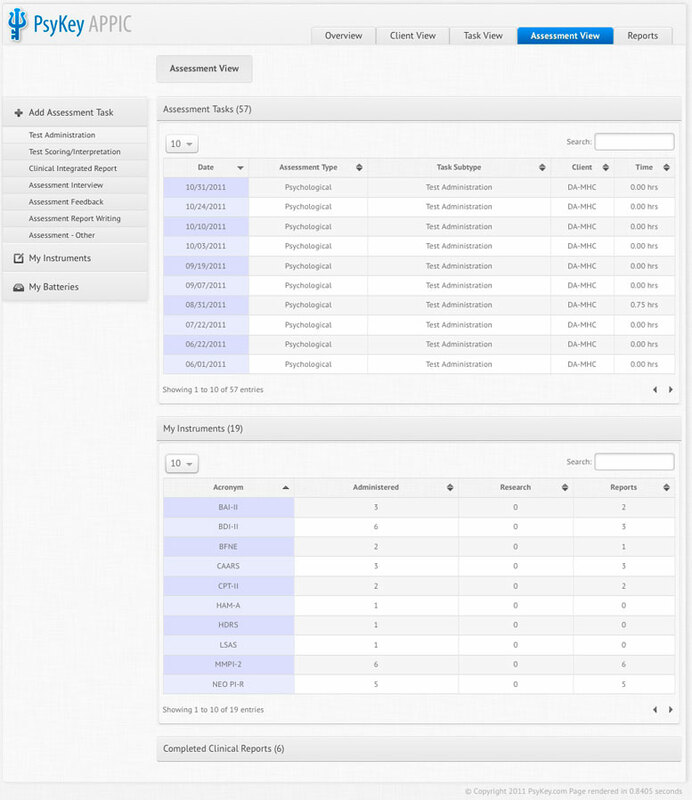 Easily add and track assessment related tasks in the handy, all-in-one, Assessment View. 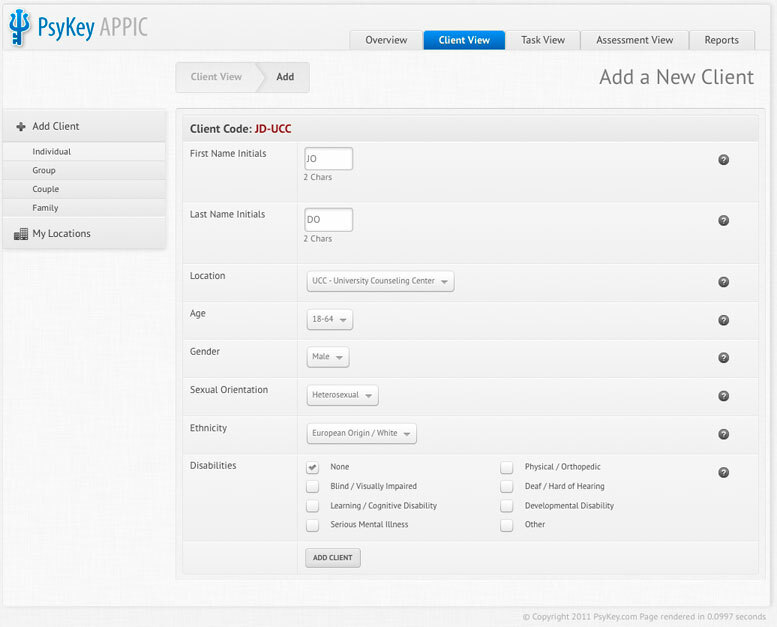 In one click, all your clinical training hours are shown in a simple format that matches the AAPI. Easily copy hours from outside sources, including those saved in Time2Track™. You'll be up to date in no time. 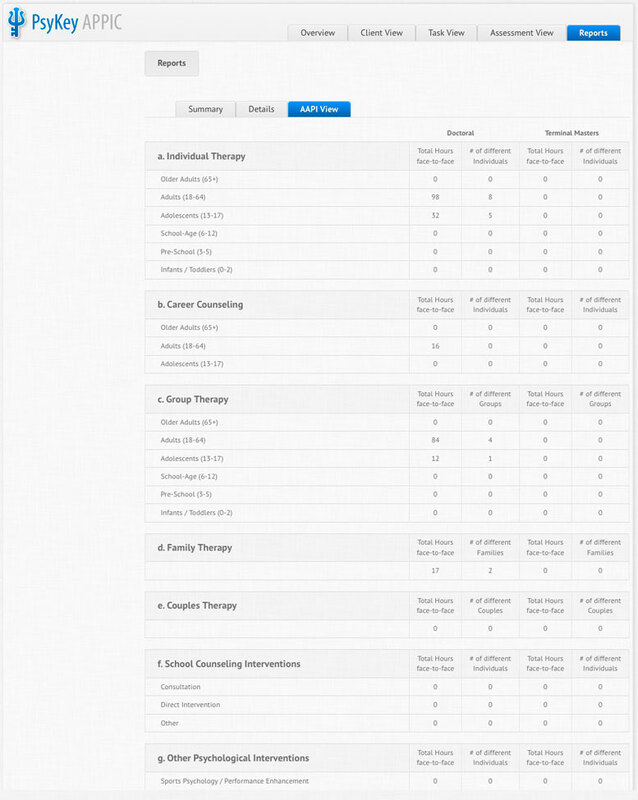 Every part of PsyKey Doctoral is formatted and optimized for easy use on the Apple iPad. 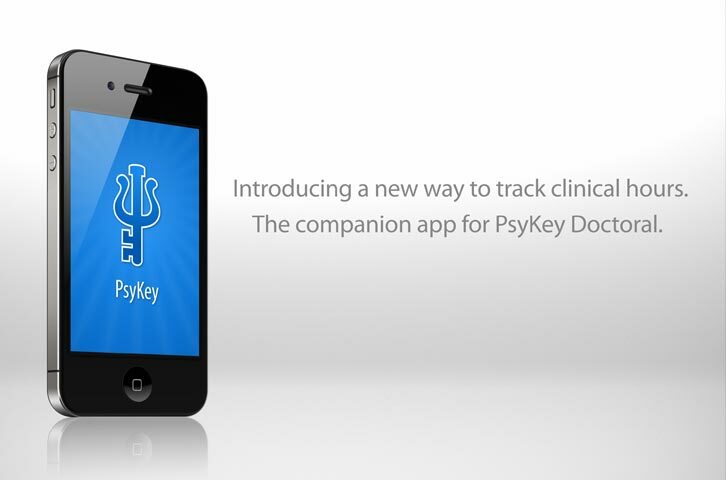 Download the free PsyKey Doctoral Companion App from the App Store and conveniently track your hours on the fly. Sign up for your FREE 30-day trial and experience how PsyKey Doctoral will make your life easier. Or, see how we compare to our competitors below. Tracking your clinical hours by hand? Many students track their clinical hours by hand thinking it's the cheapest way. It's not. Time is money, and PsyKey Doctoral can save you both. Many students have spent hundreds of hours tracking their clinical experience for the APPIC Match by hand. There's a better way. PsyKey Doctoral will save you time and money, allowing you to spend it on the things you love. There are some great online services that offer ways to track hours towards a goal, but very few are designed specifically for psychology students tracking clinical experience for the APPIC Match process. With PsyKey Doctoral, you'll enjoy an intuitive interface, convenient management of information, seamless data entry, all at the most affordable price on the web. Convenient access from any computer. Free Companion App for iPhone and iPod Touch. Track clinical experience for the APPIC Match process. Designed specifically for psychology graduate students. 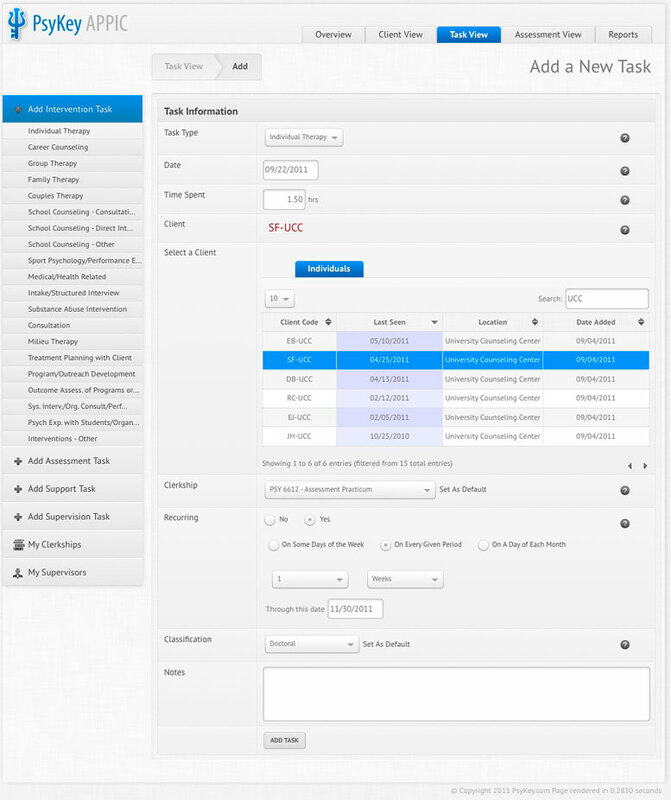 Easily transfer tracked clinical hours from outside sources. Add & Edit client information. Add & Edit assessment instruments. Add & Edit “Test Batteries” for frequently used assessment instruments. Add & Edit supervisors and clinical training locations. Categorize your clinical hours by practicum/clerkship. Categorize your supervision hours by license status of supervisor. Updated for AAPI: 2011 – 12. Most affordable and feature rich solution on the web. Sign up for your FREE 30-day trial and experience how PsyKey Doctoral will make your life easier. No financial information will be requested. Graduate Programs: PsyKey Institution can help faculty and administrators track student progress. © 2009 - 2019 PsyKey, Inc. All rights reserved. PsyKey Doctoral is not affiliated with or sanctioned by the Association of Psychology Postdoctoral Internship Centers (APPIC). ✝ All trademarks are the property of their respective owners.